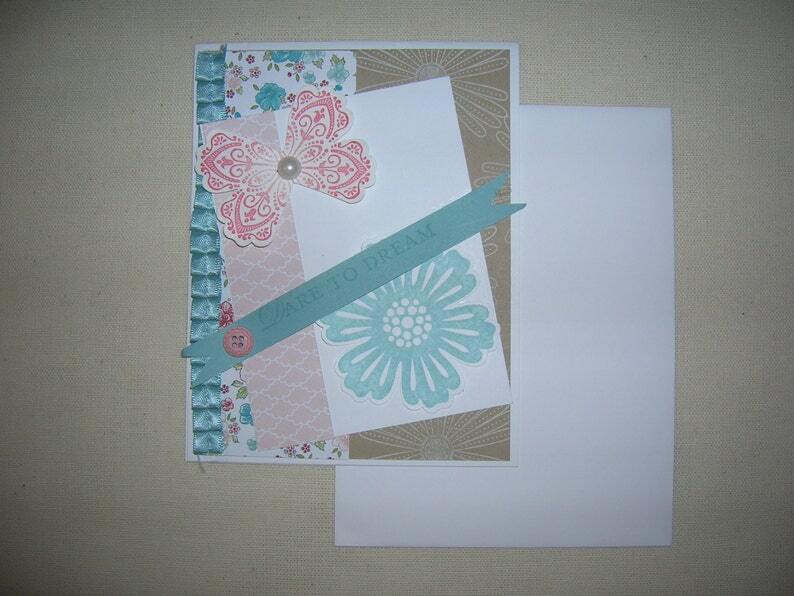 One hand stamped Dare To Dream greeting card featuring, a multi-layered card, stamped butterfly , stamped flower and Dare To Dream banner. Designer peer and ribbon, pearl, and button embellishments. Card comes with an envelope wrapped in a cello sleeve. Made with only quality Stampin Up products.